Happy New Year! A lot of people have been requesting this beautiful crochet ladies hat, and it’s finally here! Elegance, with a hint of lace: the Primrose and Proper Slouch Hat crochet pattern for ladies/teens and kids. There’s also a separate set of matching bootcuffs to go with it! 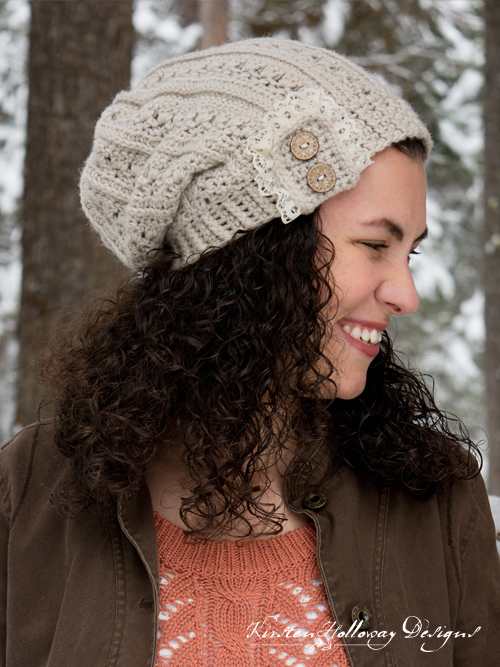 This gorgeous slouch hat comes in two sizes, Teen/Adult and Children, and is for intermediate level crocheters. 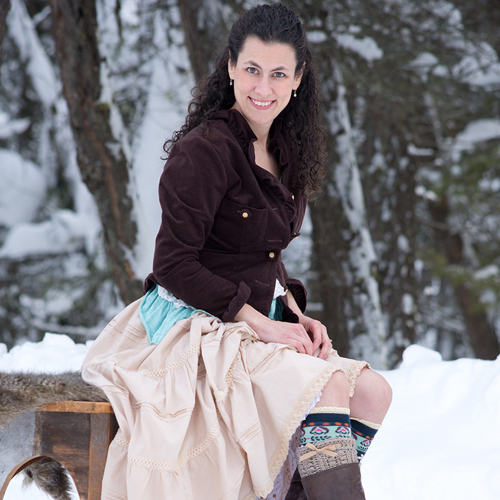 It’s a one of a kind looking piece that will take you from winter all the way through spring! Pick the pattern up on Ravelry for $5. Looking for the slightly different, free version of the Primrose and Proper hat? 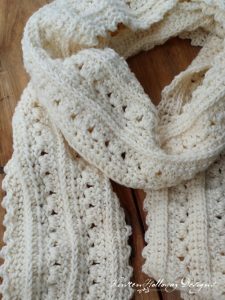 Click here to go to the crochet pattern.